Search for products at stores near you. 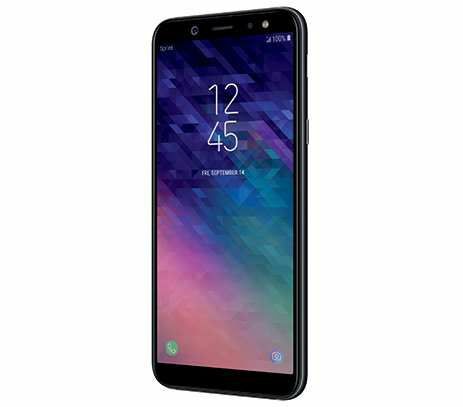 The Samsung Galaxy A6’s sleek, metal design fits naturally in your hand and your pocket. 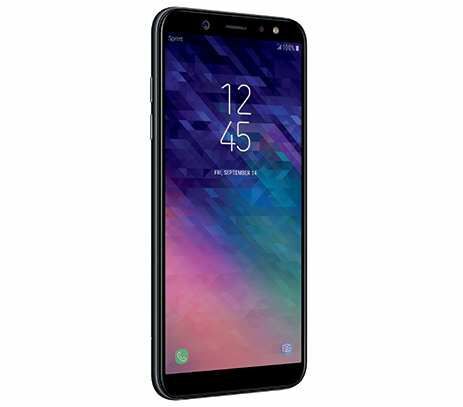 Its immersive 5.6" Super AMOLED Infinity Display delivers an entertaining big-screen view, while the 16MP front and back cameras allow you to shoot stunning photos, even in low light. Plus, you can expand your memory up to 400GB to store all your favorite pictures and videos. Not just another smartphone, Galaxy A6 is just right. 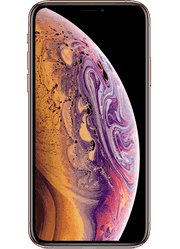 Apple iPhone Xs Starting at $41.67 / mo. 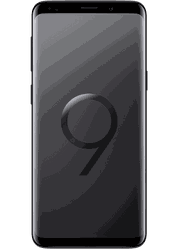 Samsung Galaxy S9 Starting at $9.00 / mo. 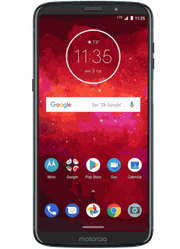 Moto Z3 play Starting at $15.00 / mo. 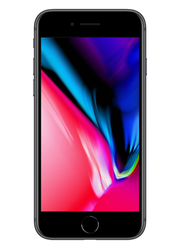 Apple iPhone 8 Plus Starting at $29.17 / mo. Sprint Unlimited Freedom plan: ** Mo. charges excl. taxes & Sprint Surcharges [incl. USF charge of up to 17.1% (varies quarterly), up to $2.50 Admin. & 40¢ Reg. /line/mo.) & fees by area (approx. 5 -20%)]. Surcharges are not taxes. See sprint.com/taxesandfees. Activ. Fee: Up to $30/line. Credit approval req. Sprint Unlimited Freedom Plan:Reqs. eBill. Incl. unlimited domestic Long Distance calling, texting & data that streams video at up to HD 1080p, music at up to 1.5mbps, gaming at up to 8mbps. & 10GB of high-speed Mobile Hotspot, VPN & P2P data. After the 10GB, MHS, VPN & P2P usage limited to 2G speeds. Third-party content/downloads are add'l. charge. Sel. int'l. svc. incl. see sprint.com/globalroaming. Plan not avail. for tablets/MBB devices. Avail. on discounted phones for add'l. $25/mo./line. AutoPay: to receive $5/mo. discount you must remain enrolled in AutoPay. Quality of Svc. (QoS): Customers who use more than 23GB of data during a billing cycle will be deprioritized during times & places where the Sprint network is constrained. See sprint.com/networkmanagement for details. Usage Limitations: To improve data experience for the majority of users, throughput may be limited, varied or reduced on the network. Sprint may terminate svc. if off-network roaming usage in a mo. exceeds: (1) 800 min. or a majority of min. ; or (2) 100MB or a majority of KB. Prohibited network use rules apply --see sprint.com/termsandconditions. Other Terms: Offer/coverage not avail. everywhere or for all phones/networks. Restrictions apply. See store or sprint.com for details. @ 2017 Sprint. All rights reserved. Sprint & logo are trademarks of Sprint. Other marks are property of their respective owners. Samsung Galaxy Note8 offers: Offer is for a limited time only. While supplies last. Credit approval req. Activ. Fee: Up to $30/line. Phone Offer: Samsung Galaxy Note8 SRP $960. Note8 Credit: Applied within 2 invoices. Mo. pymt. will be reflected on inv. & off set with bill credit. Credit ends at end of term, early payoff or upgr., whichever occurs first. Lease: Mo. amount excl. tax. Terms for all other customers will vary including amount due at signing & taxes/fees. Models with higher memory config. may req. down pymt. Req. qualifying device & svc. plan. No equipment security deposit req. Upon completion of 18-mo. term, customer can continue to pay mo. lease amount, purch. or return device. Customer is responsible for insurance & repairs. Early termination of lease/svc. : Remaining lease pymt. will be due immed. & req. device return or pymt. of purch. option device price in lease. Galaxy Forever: Does not guarantee monthly payment amount, phone selection, or service plan rates. Upgrade after 12 payment as long as lease and early upgrades offered. Req. active line thru time of upgrade with min. 12 consecutive monthly service plan payments, new phone Lease Agreement, acct. in good standing, & give back of current eligible device in good & functional condition. After upgrade, remaining unbilled lease payments are waived. Upgrade does not include same generation model Galaxy, must be next generation Galaxy. Free Accessories: Must be 18+ & 50 US/DC res. From 8/24/17 - 9/24/17 ("Purchase Period"), get a Samsung Galaxy Note8 phone on a lease, or outright purchase at full retail price ("Qualifying Purchase"). By 10/14/17 at 11:59:59 PM ET, using your Qualifying Purchase device, follow instructions on the Shop Samsung app ("App") to submit required info and choose one of the following gifts: (1) a 128GB MicroSD EVO+ memory card and fast charge wireless charging convertible (est. value $189.98) ("Gift 1") or (2) a Samsung Gear 360 camera (est. value $229.99) ("Gift 2"). Gifts only available while supplies last. After verification of Qualifying Purchase, Gifts will be mailed in apprx 6-8 weeks. In the event that Gifts are unavailable for any reason, Samsung, in its sole discretion, may choose to issue a Reward eCertificate in the apprx value of the Gift as a substitute. Reward eCertificates are valid only at www.Samsung.com or in the App for use towards an eligible purchase, and are valid through 11/18/17. Gifts subject to availability and are non-transferrable. Limit 1 Gift per Qualifying Purchase. Void where prohibited or restricted by law. Additional restrictions apply. 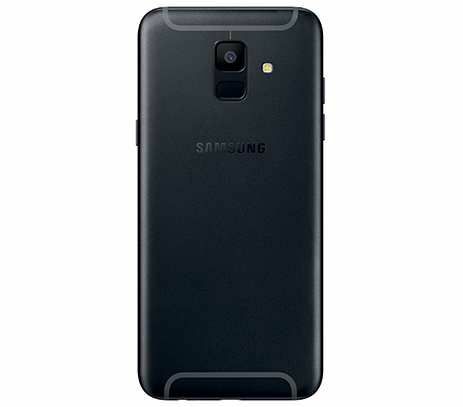 Offer subject to additional Standard Offer Terms and Conditions available at http://promos.samsung.com/terms. Samsung reserves the right to modify or discontinue offer at any time by posting notice on the app or website. Other Terms: Offers & coverage not available everywhere or for all phones/networks. May not be combined with other offers. No add'l discounts apply. Sprint reserves the right to change or cancel this offer at any time. Restrictions apply. See store or sprint.com for details. © 2017 Sprint. Other marks are the property of their respective owners. Essential 50% off lease offer:Limited time offer. While supplies last. Credit approval req. Activ. Fee: Up to $30/line. Phone Offer: Essential MSRP $699.99. Essential Credit: Applied within 2 invoices. Mo. pymt. will be reflected on inv. & off set with svc. credit. Credit ends at end of term, early payoff or upgr., whichever occurs first. Lease: Mo. amount excl. tax. Terms for all other customers will vary including amount due at signing & taxes/fees. Models with higher memory config. may req. down pymt. Req. qualifying device & svc. plan. No equipment security deposit req. Upon completion of 18-mo. term, customer can continue to pay mo. lease amount, purch. or return device. Customer is responsible for insurance & repairs. Early termination of lease/service:Remaining lease payments will be due immediately, and requires device return or payment of purchase option device price in lease. Other Terms: Offer/coverage not available everywhere or for all phones/networks. May not be combined with other offers. No add'l discounts apply. Sprint reserves the right to change or cancel this oat any time. Restrictions apply. See store or sprint.com for details. © 2017 Sprint. Samsung 50% off lease offer: Offer is for a limited time only. While supplies last. Credit approval req. Activ. Fee: Up to $30/line. 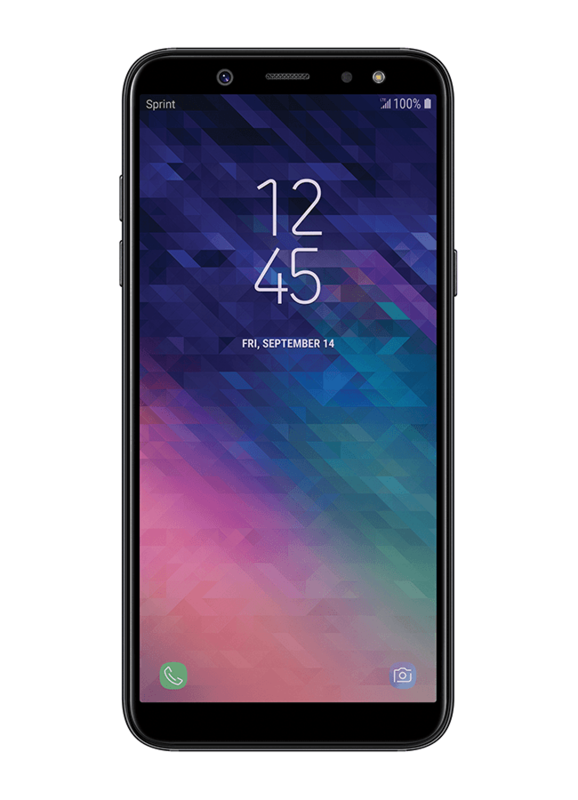 Phone Offer: Samsung Galaxy S8 (64GB) SRP $ 750. Samsung Galaxy S8+ (64GB) SRP $ 850. Samsung Galaxy S8 Credit: Applied instantly at point of sale. Savings for 18 mos., then pay $31.25/mo. for S8 or $35.42/mo. for S8+. Lease: Mo. amount excl. tax. Terms for all other customers will vary including amount due at signing & taxes/fees. Models with higher memory config. may req. down pymt. Req. qualifying device & svc. plan. No equipment security deposit req. Upon completion of 18-mo. term, customer can continue to pay mo. lease amount, purch. or return device. Customer is responsible for insurance & repairs. Early termination of lease/svc. : Remaining lease pymt. will be due immed. & req. device return or pymt. of purch. option device price in lease. Galaxy Forever: Does not guarantee monthly payment amount, phone selection, or service plan rates. Upgrade after 12 payment as long as lease and early upgrades offered. Req. active line thru time of upgrade with min. 12 consecutive monthly service plan payments, new phone Lease Agreement, acct. in good standing, & give back of current eligible device in good & functional condition. After upgrade, remaining unbilled lease payments are waived. Upgrade does not include same generation model Galaxy, must be next generation Galaxy. Other Terms: Offers & coverage not available everywhere or for all phones/networks. May not be combined with other offers. No add'l discounts apply. Sprint reserves the right to change or cancel this offer at any time. Restrictions apply. See store or sprint.com for details. © 2017 Sprint. Other marks are the property of their respective owners. 2 for 1 iPhone 7 offer Offer is for a limited time only. Credit approval req. Activ. Fee: Up to $30/line. Phone Offer: iPhone 7 32GB $649.99. iPhone 7 Plus 32GB $769.99. While supplies last. Lease: Credit approval req. Terms for all other customers will vary including amount due at signing & taxes/fees. Models with higher memory configurations may require a down payment. Req. qualifying device & service plan. No equipment security deposit required. Upon completion of 18-mo. term, customer can continue to pay monthly lease amount, purchase or return the device. Customer is responsible for insurance and repairs. Early termination of lease/service: Remaining lease payments will be due immediately, and requires device return or payment of purchase option device price in lease. 2-for-1 iPhone 7: Reqs. 18 mo. leases on iPhone 7 or iPhone 7 Plus. Higher memory configurations and iPhone 7 Plus for second iPhone will receive $27.09/mo. service credit and will not be $0/mo. Mo. pymt. will be reflected on inv. & off set with svc. credit. Credit ends at end of term, early payoff or upgr., whichever occurs first. Both devices must be acquired/returned in same transaction. iPhone Forever: Does not guarantee monthly payment amount, phone selection, or service plan rates. Upgrade after 12 payment as long as lease and early upgrades offered. Req. active line thru time of upgrade with min. 12 consecutive monthly service plan payments, new phone Lease Agreement, acct. in good standing, & give back of current eligible device in good & functional condition. After upgrade, remaining unbilled lease payments are waived. Upgrade does not include same generation model iPhone; must be next generation iPhone. Other Terms: Offer/coverage not avail. everywhere or for all phones/networks. Restrictions apply. See store or sprint.com for details. © 2017 Sprint. Moto e4: Offer ends 10/12/17. Credit approval req. Activ. Fee: Up to $30/line. Phone Offer: Moto e4 $145 Lease: Mo. amount excl. tax. Terms for all other customers will vary including amount due at signing & taxes/fees. Models with higher memory config. may req. down pymt. Req. qualifying device & svc. plan. No equipment security deposit req. Upon completion of 18 mo. term, customer can continue to pay mo. lease amount, purch. or return device. Customer is responsible for insurance & repairs. Early termination of lease/service: Remaining lease payments will be due immediately, and requires device return or payment of purchase option device price in lease. $0/mo: Reqs 18-Mo. on up to 10 phones for well-qualified credit. Mo. pymt. will be reflected on inv. & off set with credit. Credit ends at end of term, early payoff or upgr., whichever occurs first. Other Terms: Offers & coverage not available everywhere or for all phones/networks. May not be combined with other offers. No rainchecks. No add'l discounts apply. Sprint reserves the right to change or cancel this offer at any time. Restrictions apply. See store or sprint.com for details. © 2017 Sprint. All rights reserved. Other marks are the property of their respective owners. Tablet Offers: Slate 10" $288.00. Limited time offer. Activ. Fee: Up to $30/line. Credit approval req. While supplies last. 24-Mo. Installments: Req. 24-mo. installment agmt, 0% APR & qualifying device & svc.plan. Device pricing for well-qualified customers. Models with higher memory config. may req. a downpymt. Mo. pymt. terms & down pymt. for all others will vary. Down pymt., unfinanced portion & sales tax (on full purch. price) due at purch. Early termination of 24-Mo. Installments/Svc. : If you cancel wireless svc., remaining balance on device becomes due. Slate 10" and Service Credit Offers: Reqs. 24-Month installment agreement. Monthly installment payment will be reflected on the invoice and offset with a service credit. Service Credit applied monthly and ends at end of term or upgrade whichever occurs first. Taxes and svc. charges excluded. No cash back. May not be combinable with other tablet offers. Reqs. activ. at point of sale. Avail. to new and existing customers with eligible upgrade who have an active Sprint wireless phone line. Reqs. qualifying data plan (min. $15/mo. ; excl. unlimited data plans) and new-line activation. Only 1 free Tablet per account during this offer. Slate 8": MSRP $240.00. Early Termination Fee (sprint.com/etf): After 14 days, up to $350/line for 2-yr. agmt.Taxes and svc charges excluded. No cash back. May not be combinable with other tablet offers. Requires activation at point of sale. Available to new and existing customers who have an active Sprint wireless phone line. Req. qualifying data plan and new 2-yr. agmt/activation. Only 1 free Tablet per account during this offer.Other Terms: Offer/coverage not avail. everywhere or for all phones/networks. Restrictions apply. See store or sprint.com for details. © 2017. All rights reserved. Sprint & logo are trademarks of Sprint. Other marks are property of their respective owners. Activ. Fee: up to $30/line. Credit approval req. Device Offers: LG V20 $792.00. Offer available 06/16/17-06/18/17 While supplies last. 24-Month Installments: Req. 24-mo. installment agreement, 0% APR, & qualifying device & service plan. Credit approval req. Device pricing for well-qualified customers. Models with higher memory configurations may require a down payment. Monthly payment terms and down payment for all others will vary. Down payment, unfinanced portion and sales tax (on full purchase price) due at purchase. Early Termination of 24-Month Installments/Service: If you cancel wireless service, remaining balance on device becomes due. Sponsor: LG Electronics, Inc., 1000 Sylvan Ave, Englewood Cliffs, NJ 07632. Other Terms: Offers and coverage not available everywhere or for all devices/networks. May not be combined with other offers. No rainchecks. Restrictions apply. See sprint.com for details. ©2017 Sprint. All rights reserved. Sprint & logo are trademarks of Sprint. Other marks the property of their respective owners. Overnight shipping: $10: Order by 2 p.m. ET Mon-Fri, get it the next business day. Some models are backordered. See sprint.com/ship for details. If the device you're ordering is backordered, we'll ship your device overnight as soon as it's available. Contract buy out offer: Amount based on ETF (early termination fee) charged or remaining phone balance. Req. port from other carrier to Sprint; remain active; in good standing for 30 days before card issuance & buyback of working phone tied to offer. Phone must be deactivated & all personal data deleted. Device will not be returned. Register & submit final bill w/ ETF or phone balance within 60 days of switching at sprint.com/joinsprint. Allow 15 days after registration approval for Prepaid Card arrival. Excludes discounted phones, 100+ Corporate-liable, prepaid & ports made between Sprint or related entities. ÊPrepaid card: is issued by MetaBank, Member FDIC, pursuant to a license from Visa U.S.A. Inc. No cash access or recurring payments. Can be used everywhere Visa debit cards are accepted. Card and funds expires after 6 months. Card terms and conditions apply, see www.SprintPrepaidCard.com. **Monthly charges exclude taxes & Sprint Surcharges [incl. USF charge of up to 17.4% (varies quarterly), up to $2.50 Admin. & 40¢ Reg. /line/mo.) & fees by area (approx. 5Ð20%)]. Surcharges are not taxes. See sprint.com/taxesandfees. Better Choice Plan: Limited time offers. No discounts apply to access charges and early upgrade add-on charge. Includes unlimited domestic Long Distance calling and texting. Data allowance as specified. Non-discounted phones require you to sign up for leasing, monthly installments, pay full MSRP or bring your own capable phone. Third-party content/downloads are add'l charge. Max of 10 phone/tablet/MBB lines. Includes selected allotment of on-network shared data usage and 100MB off-network data usage. Add'l on-network high-speed data allowance may be purchased at $15/GB. Add'l off-network data can be added by opt in only for 25¢/MB for tablets/MBBs. Mobile Hotspot Usage pulls from your shared data and off-network allowances. High speed data is access to 3G/4G. Discounted Phones Access ($45): Invoice will show a term access charge of $45/mo./line charge until the customer enters into a new device transaction that does not have an annual term service agreement. Usage Limitations: To improve data experience for the majority of users, throughput may be limited, varied or reduced on the network. Sprint may terminate service if off-network roaming usage in a month exceeds: (1) 800 min. or a majority of min. ; or (2) 100 MB or a majority of KB. Prohibited network use rules apply; see sprint.com/termsandconditions. Sprint Global Roaming Add-On: Requires international capable phone and domestic service plan on the account. Includes text messaging and data in select countries on GSM/GPRS networks only. Voice: 20¢ per minute. For a list of available roaming cities, visit sprint.com/internationalroaming. Not compatible with other int'l roaming services. Int'l voice, text and data in other areas not included are subject to applicable casual rate. Monthly add-ons must remain active on customer's line of service for a full month after activating. Not for extended international use; primary usage must occur on our U.S. Network. Service may be terminated or restricted for excessive roaming. Communications with premium-rate numbers not included. Sprint Unlimited Freedom plan: Activ. Fee: Up to $30/line. Credit approval req. Includes unlimited domestic Long Distance calling, texting and data with optimized video, gaming and music streaming and 5GB of high-speed Mobile Hotspot, VPN and P2P data. Third-party content/downloads are add'l charge. Select int'l svcs included see sprint.com/globalroaming. Plan not available for tablets/MBB devices. Available on discounted phones for add'l $25/mo/line. Quality of Service (QoS): Customers who use more than 23GB of data during a billing cycle will be de-prioritized during times and places where the Sprint network is constrained. See sprint.com/networkmanagement for details. Usage Limitations: To improve data experience for the majority of users, throughput may be limited, varied or reduced on the network. Sprint may terminate service if off-network roaming usage in a month exceeds: (1) 800 min. or a majority of min. ; or (2) 100MB or a majority of KB. Prohibited network use rules applyÑsee sprint.com/termsandconditions. Sprint Global Roaming Add-On: Plan includes Sprint Global Roaming. See sprint.com/globalroaming. Requires international capable phone and domestic service plan on the account. Includes text messaging and data in select countries on GSM/GPRS networks only. Voice: 20¢ per minute. For a list of available roaming cities, visit sprint.com/internationalroaming. Not compatible with other int'l roaming services. Int'l voice, text and data in other areas not included are subject to applicable casual rate. Monthly add-ons must remain active on customer's line of service for a full month after activating. Not for extended international use; primary usage must occur on our U.S. network. Service may be terminated or restricted for excessive roaming. Communications with premium-rate numbers not included. Direct 2 You: Credit approval required. Account owner to be present. Available in select delivery zones by appointment only. Customer must be activating select new phones . Offer/coverage not available everywhere or for all phones/networks. Restrictions apply See sprint.com/direct2you for details. Other terms: Offers & coverage not available everywhere or for all phones/networks. May not be combined with other offers. No add'l discounts apply. Sprint reserves the right to change or cancel this offer at any time. Restrictions apply. See store or sprint.com for details. © 2016 Sprint. All rights reserved. Sprint and the logo are trademarks of Sprint. Other marks are the property of their respective owners. Recycling your old electronic device?